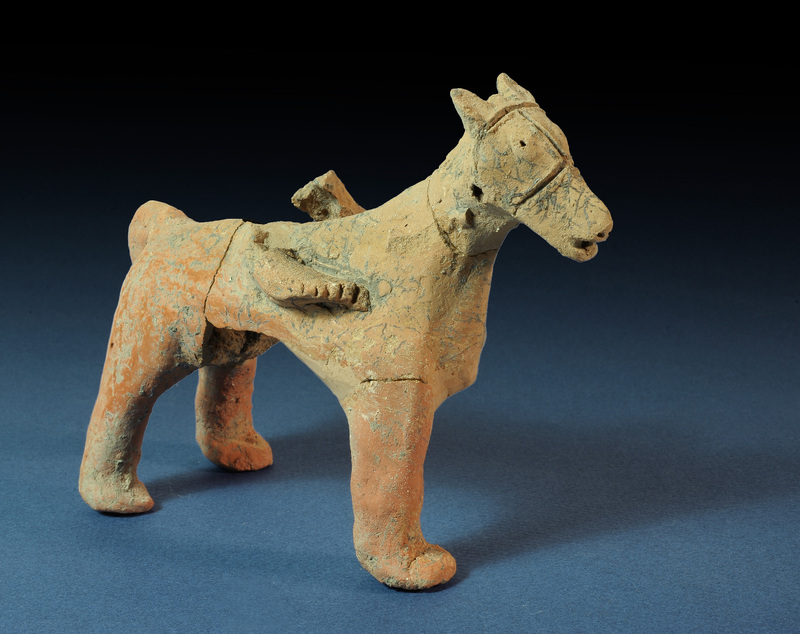 The finds, dated to the early monarchic period and including pottery figurines of men and horses, provide rare testimony of a ritual cult in the Jerusalem region at the beginning of the period of the monarchy. They were uncovered during excavations by the Israel Antiquities Authority, prior to work by the National Roads Company on the new Highway 1 section. Rare evidence of the religious practices and rituals in the early days of the Kingdom of Judah has recently been discovered at Tel Motza, to the west of Jerusalem. In excavations the Israel Antiquities Authority is currently conducting at the Tel Motza archaeological site, prior to work being carried out on the new Highway 1 from Sha’ar HaGai to Jerusalem by the National Roads Company (previously the Public Works Department), a ritual building (a temple) and a cache of sacred vessels some 2,750 years old have been uncovered. According to Anna Eirikh, Dr. Hamoudi Khalaily and Shua Kisilevitz, directors of the excavation on behalf of the Israel Antiquities Authority, “The ritual building at Tel Motza is an unusual and striking find, in light of the fact that there are hardly any remains of ritual buildings of the period in Judaea at the time of the First Temple. Figurines of a person. Photograph: Clara Amit, courtesy of the Israel Antiquities Authority. Tel Motza and the surrounding region are renowned for their prime archaeological importance. Many finds have previously been uncovered at the site, from a variety of different periods. From the 1990’s to the beginning of the present millennium, the site was excavated in preparation for the new route taken by Highway 1. At the time, the site’s archaeologists proposed once more identifying the site with the Biblical settlement “Mozah” mentioned in the Book of Joshua – a town in the tribal lands of Benjamin bordering on Judaea (Joshua 18: 26). The proposal was based, among other things, on the discovery at the site of a public building, a large structure with storehouses, and a considerable number of silos. At the time, archaeologists identified the site as a storehouse, run by high-ranking officials, for Jerusalem’s grain supplies. The current excavations have revealed evidence that provides another aspect to our understanding of the site. According to archaeologists Eirikh, Dr. Khalaily and, Kisilevitz, “The current excavation has revealed part of a large structure, from the early days of the monarchic period (Iron Age IIA). The walls of the structure are massive, and it includes a wide, east-facing entrance, conforming to the tradition of temple construction in the ancient Near East: the rays of the sun rising in the east would have illuminated the object placed inside the temple first, symbolizing the divine presence within. Figurine of a horse. 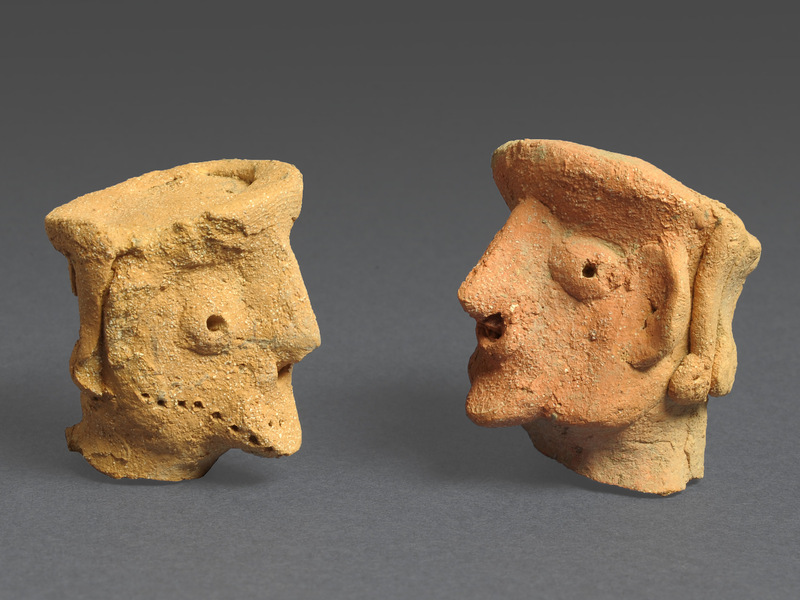 Photograph: Clara Amit, courtesy of the Israel Antiquities Authority.